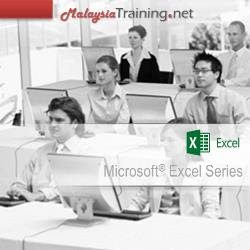 Excel Power Users, data analysts, business analysts, managers, MIS professionals and BI Consultants / BI Developers. Power Query can connect to wide range of data sources. Databases such as SQL Server, Oracle, Text files, Big Data and Hadoop data sources, online searches and OData feeds, Cloud storage, Facebook, SharePoint and many other types of data storage. Power Query extracts the data from sources, and performs transformations such as splitting columns, data conversions, lookups, merge, append, data cleansing and many other data transformations AUTOMATICALLY without the use of VBA. Power Query introduced a new expression language called "M" for data transformations. Power Query is simply the best transformation and data manipulation tool for Excel and easier to use, understand and master than other tools. Upon successful completion of this course, the delegate should be proficient with Power Query and have the necessary skills to implement and automate the process of pulling in data, perform data transformation and data cleansing. Perform calculation to aggregate data. This module explains what power query is and how you can download and install the power query on your computer. Learn how data files are imported / connected whether it's a text files, CSV file, database or any other source. Once the connection is built, refreshing the connection will automatically load the latest changes. In this module, you will append data together into one source from multiple file formats, multiple sources and even an entire folder for the purpose of analysis. If the source is an Excel file, learn to pull data from multiple workbooks, multiple sheets and multiple tables. This module shows how easy to merge data without using formulas such as VLOOKUP, INDEX & MATCH. Perform more advanced merges using Inner, Outer, Full, and Anti Joins. Learn to automate reconciliations and throw out exceptional items. This module shows how to perform calculations such as SUM, AVERAGE & COUNT just like a pivot table. More complicated data transformation can be done using "M" language for Power Query. In Power Query, you will be able to transform selected columns into attribute-value pairs where columns become rows for data analysis which is required for Pivot Tables. Data that is structured incorrectly can be transformed easily. The complete removal of dirty data from a source is virtually impossible. Power Query has some tools which can be used to clean some common problems such as missing data, data formatted incorrectly or date problems.